1) WHY DO PEOPLE HATE IT WHEN SOMEONE TRIES TO ENJOIN GOOD OR FORBID EVIL? 5) CAN AN AVERAGE PERSON ENJOIN GOOD AND FORBID EVIL ? It was reported from Al-Mustadhil bin Husayn: I heard 'Umar ibn Al-Khattab said: "I know and By the Lord of the Kabah, when will the arabs (he means to say Islam) perish: When the companions of the Prophet (s.a.w) will not be the guardian of their affairs and people who have never known ignorance"
How do we cure this disease? Prophet (sallallaahu alaihi wasallam) said: Indeed the cure for ignorance is to ask (and learn knowledge). Reason : he merely asked a homosexual couple to stop their evil act when THEY went and asked (provoked) him about what bible says about this. It could be desires, ignorance many reasons why people wouldn't want you to correct them. This shows that allah taught us what is false and also what is righteous so as to learn the righteous and distinguish and stay away from falsehood. Oh you who believe! Guard your own souls: if you follow (right) guidance, no hurt can come to you from those who stray" (al-Maaidah 105). 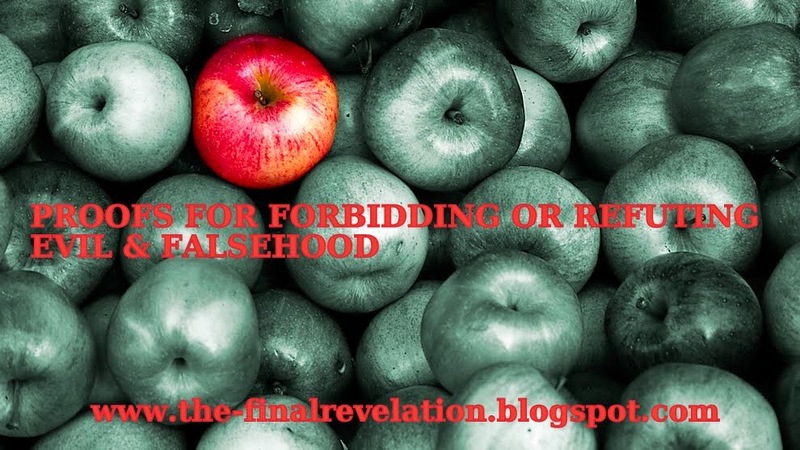 How will you guard anything without knowing the truth from falsehood? 2.13) The story of three groups of jews one of which forbade evil while the rest did not. Shaykh as-sa`di in his tafseer says that we don't know what Allah did to those who were silent and did not forbid the munkar. so we too remain silent. But allah did reward those who forbid the evil. How will you advice each other the truth when you don't even want to refute the falsehood which opposes the truth? Nine people were bad news for the village they were in and corrupted it, and the rest accepted their conduct so the punishment of Allaah was sent down on them all. the verses are too many to even post however i'll keep on adding now and then . - admonishment to learn knowledge, learn truth from falsehood as to be aware .. So if you end up stopping every scholar who refutes falsehood , won't you be guilty of misguiding scores of people? Khalid's version has: We heard the Prophet (ﷺ) say: When the people see a wrongdoer and do not prevent him, Allah will soon punish them all. Amr ibn Hushaym's version has: I heard the Messenger of Allah (ﷺ) say: If acts of disobedience are done among any people and do not change them though they are able to do so, Allah will soon punish them all. Abu Dawud said: This tradition has also been transmitted by Abu Usamah and a group transmitters similar to the version narrated by Khalid. The version of Shu'bah has: "If acts of obedience are done among any people who are more numerous than those who do them...."
The Prophet (ﷺ) said: If any man is among a people in whose midst he does acts of disobedience, and, though they are able to make him change (his acts), they do not change, Allah will smite them with punishment before they die. The Prophet(Peace be upon him) said, "The example of the person abiding by Allah's order and restrictions in comparison to those who violate them is like the example of those persons who drew lots for their seats in a boat. Some of them got seats in the upper part, and the others in the lower. When the latter needed water, they had to go up to bring water (and that troubled the others), so they said,'Let us make a hole in our share of the ship (i.e the lower portion of the ship and get water directly from that hole instead of going up again and again and also) saving those who are above us from troubling them. So, if the people in the upper part left the others do what they had suggested, all the people of the ship would be destroyed, but if they prevented them, both parties would be safe." حَدَّثَنَا عَبْدُ الصَّمَدِ، حَدَّثَنَا هَمَّامٌ، حَدَّثَنَا قَتَادَةُ، عَنِ الْحَسَنِ، عَنْ عَبْدِ اللهِ بْنِ عَمْرٍو، قَالَ: قَالَ رَسُولُ اللهِ صَلَّى اللهُ عَلَيْهِ وَسَلَّمَ: " لَا تَقُومُ السَّاعَةُ حَتَّى يَأْخُذَ اللهُ شَرِيطَتَهُ مِنْ أَهْلِ الْأَرْضِ، فَيَبْقَى فِيهَا عَجَاجَةٌ، لَا يَعْرِفُونَ مَعْرُوفا، وَلَا يُنْكِرُونَ مُنْكَرًا "
"The Hour will not come until Allah takes away the best people on earth; only the worst people will be left; they will not know any good or forbid any evil." We were sitting with the Prophet Muhammad and he drew a line (like this) in front of him and said: “This is Allah’s path”, then he drew a line on the right of it and the left of it and said: “These are the Satan’s paths”. Then the Prophet placed his hand on the middle line and read the verse from the Quran: “And verily this is my straight path, so follow it and do not follow the other paths, for they will deter you and lead you astray from His path. This is what you have been recommended with so that you may be pious.…” (al An’am 6:153). "when anyone from you knows the Truth (Haq), he should not refrain from telling the Truth due to fear of people." “Verily, fear of people should not stop a man from speaking out the truth that he knows.”Upon hearing this, Abu Sai’d wept and said: “By Allaah, we have seen things (for which we should have spoken out the truth) but we were silenced by fear (of people). Rayaah ibn al-Harith said: I was sitting with someone (in the narration of Ahmad, it was mentioned that he was Mugheerah bin Shu`aib) in the Masjid of Koofah while the people of Koofah were with him. Then Sa`eed ibn Zayd ibn `Amr ibn Nufayl came and he (Mugheerah) welcomed him, greeted him, and seated him near his foot on the throne. Then a man of the inhabitants of Koofah, called Qays ibn `Alqamah, came. He (Mugheerah) received him and (the man) began to abuse him. Sa`eed asked: Whom is this man abusing? He replied: He is cursing `Alee. He said: Don't I see that the companions of the Apostle of Allaah صلى الله عليه وسلم are being abused, but you (Mugheerah) neither stop it nor do anything about it? I heard the Apostle of Allaah صلى الله عليه وسلم say--and I need not say for him anything which he did not say, and then he would ask me tomorrow when I see him –“Abu Bakr will go to Paradise and `Umar will go to Paradise `Uthmaan will go to Paradise, `Alee will go to Paradise, Talhah will go to Paradise, al-Zubayr ibn al-Awwam will go to Paradise, Sa`d ibn Maalik will go to Paradise, and `Abdul Rahmaan ibn `Awf will go to Paradise.” If I wish, I can mention the tenth. The People asked: Who is he? So he kept silence. The again asked: Who is he: He replied: He is Sa`eed ibn Zayd. He then said: The company of one of the man whose face has been covered with dust while in the companionship of the Apostle of Allaah صلى الله عليه وسلم is better than the actions of one of you for a whole life time even if he is granted the life-span of Noah (approx 950 years). عَنْ عُمَرَ بْنِ الْخَطَّابِ - رَضِيَ اللَّهُ عَنْهُ - قَالَ: قَالَ رَسُولُ اللَّهِ صَلَّى اللَّهُ عَلَيْهِ وَسَلَّمَ: " «إِنَّهُ تُصِيبُ أُمَّتِي فِي آخِرِ الزَّمَانِ مِنْ سُلْطَانِهِمْ شَدَائِدُ، لَا يَنْجُو مِنْهُ إِلَّا رَجُلٌ عَرَفَ دِينَ اللَّهِ، فَجَاهَدَ عَلَيْهِ بِلِسَانِهِ وَيَدِهِ وَقَلْبِهِ، فَذَلِكَ الَّذِي سَبَقَتْ لَهُ السَّوَابِقُ، وَرَجُلٌ عَرَفَ دِينَ اللَّهِ، فَصَدَّقَ بِهِ، وَرَجُلٌ عَرَفَ دِينَ اللَّهِ فَسَكَتَ عَلَيْهِ، فَإِنْ رَأَى مَنْ يَعْمَلُ الْخَيْرَ أَحَبَّهُ عَلَيْهِ، وَإِنْ رَأَى مَنْ يَعْمَلُ بِبَاطِلٍ أَبْغَضَهُ عَلَيْهِ، فَذَلِكَ يَنْجُو عَلَى إِبْطَانِهِ كُلِّهِ» ". "Then there came after them their successors, And (he) who strove against them with his hand is a believer"
الحديث، وهذا يدل على جهاد الأمراء باليد. This hadeeth indicates striving against Rulers with Hand. And the answer to that (i.e Imaam ahmad’s stance mentioned above) is that stopping with hands does not (necessarily ) require (or call for) fighting. ” So the use of the sword is not for the public, rather it is for the ruler. And likewise striving against (towards) the rulers with hands (force) is to stop their evil (haraam) actions. ,For example : breaking (misplacing/hiding/removing) their alcoholic drinks or breaking their musical instruments and what is in accordance to it (appropriately). And to ward off (deter) with hands the dhulm (injustice) of the ruler if one has to power to do so. وليس هو من باب قتالهم، ولا من الخروج عليهم الذي ورد النهي عنه فإن هذا أكثر ما يخشى منه أن يقتل الآمر وحده. Meaning those who are weak among the society and cannot do anything to change the evil of the rulers permitted by the shar`iah (note: revolting is not permitted unless his kufr is established and all barriers are removed) , then he should hate them and not aid them via his tongue or heart or actions. 'He fights to achieve the elevation of the Deen of Allah'. If he has the ability and strength. His rejection [of what is not from the Deen] upon the inability [to do so with his tongue or hands]. Jabir Ibn Samurah (r.a) said , the Messenger of Allah sallalahu `alayhi wa sallam said : "Before the Day of Judgement there will appear (a number of) impostors. You are to guard against them." This section also will enlist narrations which will show proofs to refute falsehood either by direct commands of the salaf, by its virtue, by the consequences of not doing such so on and so forth. "Whoever doesn't debate heretics and innovators in a debate which eradicates them straight from their roots (i.e. clearly demonstrate and expose their falsehood) hasn't given Islam it's due right. He also didn't honor this obligation given the knowledge and faith he has, nor did he use his speech to provide (spiritual) healing to the chests and provide serenity to the souls (i.e. didn't use the opportunity to remove the doubts of people from the heresy they were exposed to)." Again, this is only for those who have the ability to do so as Ibn Taymiyyah continues to clarify later on. ويل للْعَالم إِذا سكت عَن تَعْلِيم الْجَاهِل، وويل للجاهل إِذا لم يقبل. اهــ. Hudhayfa ibn Yaman radhiallahu `anhu was asked, "Who are the dead among the people who are living", He answered, "Those who do not deny the evil by his hand and by his tongue and by his heart." It is reported that Al-Fudayl b. ‘Ayyād – Allāh have mercy on him – said: Whoever sees a wrongdoing from his brother and then laughs in front of him has betrayed him. Note: here the prophet (sallalahu `alayhi wa sallam) did not merely say "speak against it" but he emphasized " change it". evil should be "changed into good" and not merely spoken against. Whoever seeks praise by going against the truth, Allāh will throw it back upon him as blame, and who¬ ever faces blame in order to conform to the truth, Allāh will return it as praise for him. So when Shaikh al-Harwee رحمه الله made some mistakes in His book “Manaazil al-Saa’ireen”, Shaikh Ibn al-Qayyim رحمه الله, wrote a refutation and corrected the errors in his book “Madaarij al-Saalikeen”. 1. Islaam is given precedence over and above the ranks of individuals and personalities. 2. Correcting the errors with Hikmah does not mean degrading or belittling the person. حديث مقطوع) أخبرنا أَبُو الْقَاسِم الشَّحَّامِيّ ، أَخْبَرَنَا أَبُو بَكْر الْبَيْهَقِيّ ، أَخْبَرَنَا أَبُو عبد اللَّه الْحَافِظ ، حَدَّثَنَا أَبُو الْعَبَّاس الأصم ، حَدَّثَنَا بحر بْن نصر ، وأحمد بْن عِيسَى ، قَالا : حَدَّثَنَا بِشْر بْن بَكْر ، حَدَّثَنَا الأَوْزَاعِيّ ، قَالَ : وَأَخْبَرَنَا أَبُو عَمْرو الرزجاهي ، حَدَّثَنَا أَبُو مُحَمَّد عبد اللَّه بْن مُحَمَّد بْن علي بْن زياد الدقاق ، أَخْبَرَنَا أَبُو إِسْحَاق الأَنْمَاطِيّ ، حَدَّثَنَا الْحَسَن بْن عِيسَى ، أَخْبَرَنَا ابْن الْمُبَارَك ، أَخْبَرَنَا الأَوْزَاعِيّ ، قَالَ : سمعت بلال بْن سَعْد ، يَقُول : إن المعصية إِذَا أخفيت لم تضر إلا صاحبها ، وإذا أعلنت فلم تغير ضرت العامة . وفي رواية بِشْر : إن الخطيئة إِذَا أخفيت لم تضر إلا عاملها ، وإذا ظهرت ضرت العامة . ".the fear of verbal abuse or blame without physical harm is not sufficient as an excuse to keep one from ordering good and eradicating evil.."
"The one who does not perform his obligations is actually worse than the one who performs sins. Anyone having some knowledge about the revelation of Allah, the guidance of the Prophet and the life of the companions would see that those who are pointed at today as the most pious people as in fact the least pious... Indeed, what deen and what good is there in a person who witnesses the sanctities of Allah سبحانه وتعالى being violated, His Hudood not applied, His religion abandoned, the Sunnah of His Messenger shunned, and yet remains still with a cold heart and a silent tongue - a dumb Shaitan. In the same way the one who talks falsehood is a speaking Shaitan. Isn't the misfortune of Islam due only to those who whenever their food and positions are secure, would not care about what happens to the religion? The best among them would offer a sorry face. But if there was a shortcoming in one of the things their heart is attached to like their rank or money, they would sacrifice and strive and strain and struggle and use the three levels of prevention (their hands, tongues and hearts, as mentioned in the famous hadith) according to their capability. These people, besides deserving the anger of Allah, are afflicted with the greatest calamity without even knowing it: They have a dead heart. Indeed the more alive a person's heart is, the stronger its anger for the sake of Allah and the more complete his support to Islam and Muslims"
To Allâh we belong and to Him we will return! We have reached that time, we have heard this and have come to know most of it and witnessed it. If a man to whom Allâh has bestowed sound reasoning looks and thinks carefully and ponders the matter of Islâm and its people and treads the rightly guided path as regards to them, it will become clear to him that most people have turned back on their heals, deviated from the correct path, and turned away from correct proof. Many people have started to like what they used to hate, allow what they used to forbid and recognize what they used to reject. And for sure – Allâh have mercy on you – this is not the [right] character of the Muslims, nor the behaviour of those who have insight into this religion, and neither of those who believe in it and are certain about it. Abdullah ibne Mas`ood r.a said For every bid’ah with which Islâm is plotted against, Allah has a beloved worshipper (walî) who refutes and repels it and speaks about its signs, so take the full opportunity of attending such places, and trust in Allah. "People need politeness and kindness, and enjoining what is good without harshness, except a man who does evil openly, who must be told and stopped (harshly)"
"That remaining silent about weak or fabricated ahaadeeth is a major reason for the appearance of innovations e.g. setting prisoners free on ‘Aashoraa, staying awake on the middle night of Sha’baan and fasting its day etc. These and many other innovated practices find their origin in weak/fabricated ahaadeeth"
Sufyaan Ibn Uyainah said: "Shuabah used to say: 'Come let us backbite for the sake of Allaah, azza wa jall. (i.e refute the ahlul bidah and spread awareness) '"
The innovators (in Islaam) and the fabricators of ahaadeeth are more (harmful) than the Mulhideen; [meaning major ilhaad here i.e those out of islam completely] because the Mulhideen intend to corrupt the Religion (of Islaam) from outside, (but) these ones intend to corrupt the Religion (of Islaam) from within. They are like the people of a country who strive to corrupt its state of affairs, and the Mulhidoon are like besiegers from outside. So the insiders open up the fortress (for the besiegers); their evil is worse on the people of Islaam than those who do not ascribe themselves to it. Some Muslims says " What's wrong in listening to Nasheeds with some musical instruments. It is inspirational and etc..." so this is not good and until and unless you haven't studied that Musical instruments are haraam and listening to such nasheeds aren't permissible either then do not enjoin good or forbid evil in this particular topic. As Shaykh Saleh al-Fawzaan said : Conveying knowledge is different than explaining knowledge. You can convey a verse or hadeeth but to explain it’s Ahkaam (rulings) and qawa`id and etc. is not to be done by except a scholar or someone who is knowledgable (of that particular topic). And knowledge is not gained by reading a few fatwa on the internet or by knowing one or two hadeeth. “The one ordering the good or forbidding the evil must be knowledgeable about what is being ordered or prohibited. And the level of knowledge required for this will vary in accordance with what is being ordered or prohibited. This, if it is an issue concerning clear-cut obligations and well known prohibitions – such as Prayer, Fasting, fornication or drinking intoxicants – then every Muslim is a scholar with regards to such issues. Furthermore, he says in another context: "Enjoining the good should not lead to more harms, likewise, forbidding the evil should not lead to more harms, otherwise, it would be avoided as Allah (Glory be to Him) commanded of enjoining the good that does not lead to more harms." The same explanation has been echoed by the general Mufassirun (commentators of Quran) under verse: 44 of Surah Baqarah. ‘Commanding good and practising upon it are 2 separate responsibilities. Either one of these will not fall away even if an individual fails in the other. 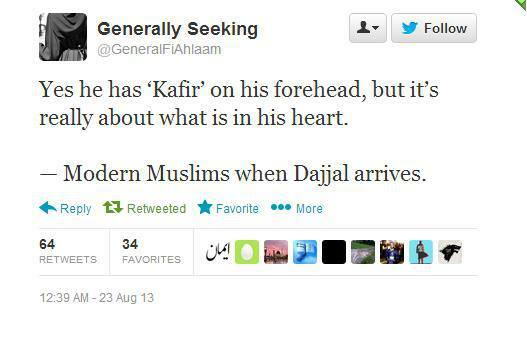 This is the most correct view of the earlier and latter scholars. There is more to this discussion, and those who are interested may refer to Tafsir Ibn Kathir, surah Ma-idah, Ayah: 105. The same understanding has been mentioned by the following explainers of the Quraan i.e Raazee in Tafseer al-Kabeer 3/47, Baidhaawee in his Tafseer 1/150, Abu Sa’ood in his Tafseer 1/97 and in Tafseer Siraaj al-Muneer 1/55).